Pique knit in dual-tone, 100% cotton yarns for rich color and comfort. 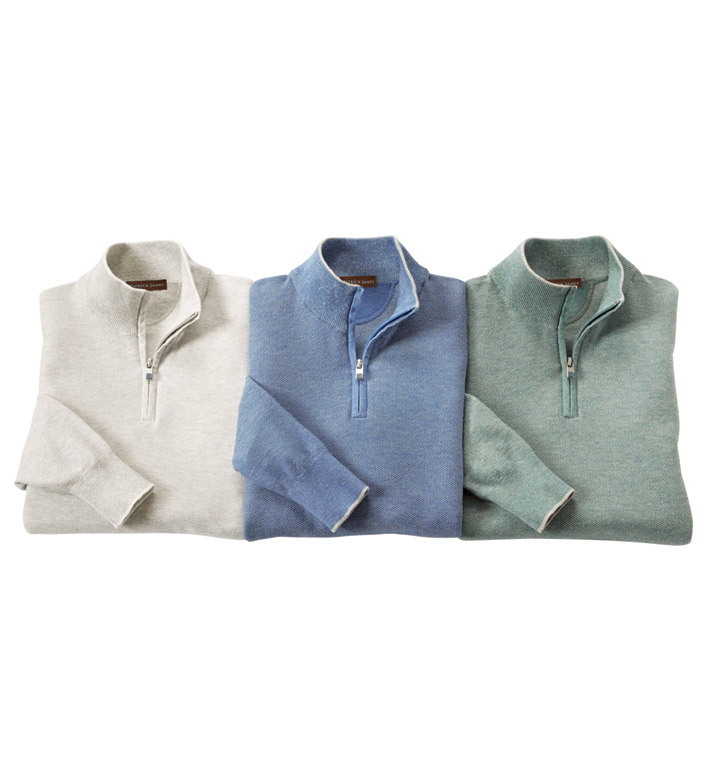 Quarter zip, long sleeves, tipping detail, ribbed mock neck, cuffs and waist. Dry clean or hand wash. Imported.